You don’t have to be embarrassed by urinary problems like overactive bladder and incontinence. At her South Bay clinic in Torrance, California, Abbey Gaske, MD, is an experienced urologist offering personalized and discrete care for a variety of conditions, including incontinence. If you’re in the greater Los Angeles area, call Abbey Gaske, MD, or schedule an appointment online today to find solutions for your overactive bladder and incontinence symptoms. Incontinence is a term that describes the involuntary loss of bladder control, or urinary leakage. This common condition varies in severity from total loss of bladder control to small amounts of urine leakage. It’s also possible to have more than one form of urinary incontinence at the same time. Urinary incontinence isn’t a disease, but rather a sign of something else. These can be lifestyle factors or physical problems leading to bladder control issues. In some cases, urinary incontinence is due to temporary problems, like bladder infections and constipation. Certain medications, beverages, and foods can also lead to bladder irritation and involuntary leakage. When men experience bladder control problems, it’s often associated with prostate conditions. Incontinence and overactive bladder are common urology issues that affect both men and women. For women, urology focuses on your urinary system, the health of your pelvic floor muscles, and the changes that may occur due to pregnancy, childbirth, menopause, or other factors unique to the female anatomy. 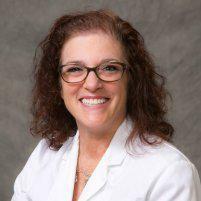 Dr. Gaske specializes in personalized and compassionate care for female urological conditions and strives to demystify this area of your body. Dr. Gaske develops incontinence or overactive bladder treatment based on the cause of your condition. In some cases, these include medications and biofeedback to help retrain the muscles of your bladder for more control. She might also recommend botox, surgery, or sacral nerve modulation (InterStim) to increase your bladder control. To find solutions for incontinence or an overactive bladder, call Abbey Gaske, MD, or schedule an appointment online today.